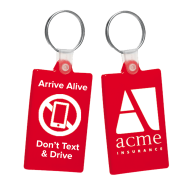 The Mines Press' line of "Don't Text and Drive" promotional products has everything your agency needs to join the "Stop Distracted Driving" force. 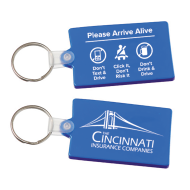 Associate your brand with the right message and your promotional efforts will harvest long-lasting goodwill and a positive image that will carry on through time. 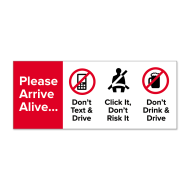 The Mines Press has joined the effort to promote awareness of the dangers of distracted driving. 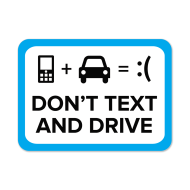 Texting and driving has become a worldwide epidemic that keeps growing at an alarming rate. This is why we have put together a line of products that will make your company stand proud on the front line in the fight against distracted driving.